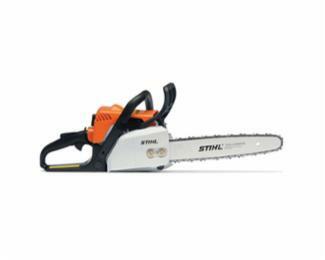 STIHL Chainsaw MS170-16 with 16” guide bar offers great value and lightweight performance. Perfect for homeowners who need to trim small trees or clean up after a storm, the MS170-16 also features an IntelliCarb™ compensating carburetor to maintain the correct RPM and an anti-vibration system for operator comfort. Need help deciding which chainsaw is right for you? Check out our buyer’s guide for tips on selecting the best product for your needs.